Pity the rat. Few mammals are so reviled in western culture, so deeply and viscerally loathed, as Rattus norvegicus. Regarded less as animals than as rapacious, beady-eyed vectors of filth and disease, they can drive otherwise warm-hearted souls to fantasies of extermination. Rats on an abandoned ship, to take a recent example, aren’t pitied as starving; they’re reviled as cannibals. Often I’ve found myself considering what scientific questions might be asked of these supposedly lowly creatures. Plenty of people ponder consciousness in whales, or wonder what life looks like to a chimpanzee or a cat. But what about rats? Unexpected as it might seem, we still have much to learn about rats, and from them. Yes, there’s volume upon volume of rat research—but most of it focuses on traditional questions of basic physiology and drug responses and so forth. Few researchers have asked what rats think and feel, or how they’ve adapted to environments so very different from their ancestral home in southern Mongolia. At a purely descriptive level, you could say one rat helped another. Why that happened is the question. According to Peggy Mason and collaborator Inbal Ben-Ami Bartal, the free rat appears to empathize with her trapped comrade. She recognized the rat’s distress, grew distressed herself and wanted to help. This appears to be a powerful impulse in rats. In tests of whether rats would rather eat than help another rat, the researchers found empathy’s pull to be as strong as their desire for chocolate — and rats do love their chocolate. Those who’ve had pet rats may not be surprised by reports of their empathy, nor will readers of naturalists’ texts from the 19th and early 20th centuries. (Witmer Stone and William Everett Cram, for example, wrote of rats in 1902’s American Animals, “Careful witnesses have always given them credit for looking after any helpless member of their family….”) But informal observations carry little scientific weight, and researchers are reluctant to describe what animals might think and feel. After all, animals can’t tell us, and we can’t read their minds. Claiming empathy for rats isn’t easy, and one criticism of Mason and Ben-Ami’s interpretation is that a far simpler phenomenon called emotional contagion could explain their rats’ helpfulness. In other words, when one rat becomes distressed, that distress spreads to others—but they don’t necessarily feel for the first and translate that feeling into intention. 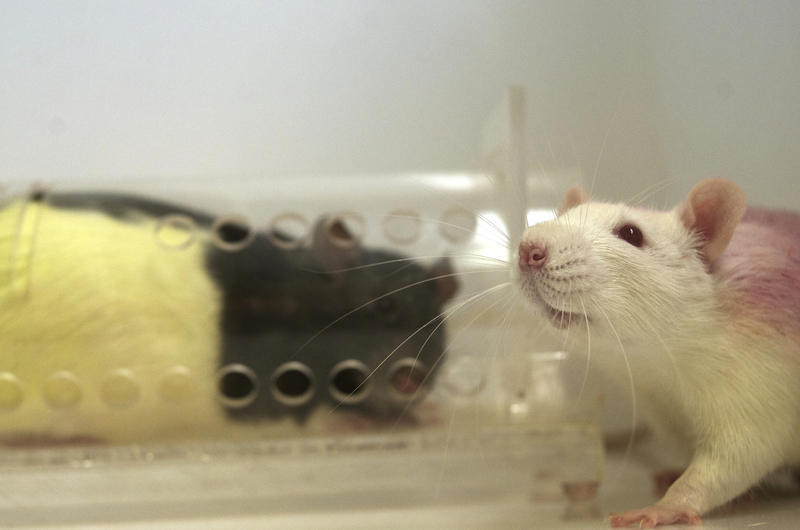 Other researchers defended the possibility of rat empathy. “Ants are not rats,” quipped Frans de Waal, an Emory University ethologist who has written extensively about empathy, on Facebook. “It would be totally surprising, from a Darwinian perspective, if humans had empathy and other mammals totally lacked it.” As for Mason and Ben-Ami Bartal, they’ve downplayed the empathy interpretation in their latest work, restricting it to speculative discussion. In those experiments, they observed that rats helped not only their cagemates, but total strangers. They even helped strangers from other strains, like the Sprague-Dawley helping the Long-Evans, if they’d previously known a rat from that strain. Social experience mattered more than narrow biological self-interest. Regardless of whether that’s empathy, Mason and Ben-Ami Bartal hope the implications could extend beyond rats and provide a model system for investigating the basic biology of helpfulness. Although she and Ben-Ami Bartal downplay the possible role of empathy, they still think it’s the most likely explanation for what they’ve observed. This argument isn’t just based on their experiments, but on evolutionary neurobiology. The brains of humans and rats are certainly not identical, but they overlap in fundamental ways. “We share the same neural structure with rats that we use for our own empathic responses,” said Ben-Ami Bartal. The thing to remember, the researchers say, is empathy can take different forms. We often focus on its most sophisticated definition: the empathy that comes with, say, reading about the suffering of people far away and feeling compassion for them. So abstract a perspective is almost surely unique to Homo sapiens. But empathy can be much simpler, as when we instinctively want to comfort someone who’s crying. Most of what we consider human empathy, said Mason, takes this form, and needn’t be unique to us. It could exist in various permutations across mammals, as do its underlying evolutionary drivers and neurobiological processes. Many well-regarded psychologists and neuroscientists have taken this position in recent years, arguing that simple empathy provides obvious evolutionary benefits for social animals, especially those species in which mothers care extensively for their young. Even complex, higher-order human empathy appears to stem from basic emotional and cognitive processes that rats—indeed, all mammals—certainly possess. “Evidence is accumulating that this mechanism is phylogenetically ancient, probably as old as mammals and birds,” de Waal wrote in a 2008 Annual Review of Psychology paper. We start our safari in an alley in lower Manhattan, not far from City Hall. We see no rats—it’s too cold, and there’s too much activity at an adjacent construction site—but their signs are everywhere. Munshi-South points out cracks between bricks and in foundations, barely noticeable yet unmistakably gnawed at their edge, entrances to tunnels leading to dens underfoot or behind walls. Do these rats survive simply because they become resistant to poisons, and for the mechanistic reasons often invoked when discussing evolution: dietary habits, reproductive rates, adaptation to life underground? Those certainly play a part, but perhaps not the only one. Mental and social evolution—rats growing smarter, and perhaps more empathetic—could be a factor. “What I’d imagine with rats, moving into a new environment and heavily persecuted, is that there’s selection on behavior that has a heritable basis, and especially on things like personalities,” Munshi-South said. He plans to compare the genomes of city rats and lab rats, and look for genetic changes linked to cognition. “I don’t think we know yet, but these are good hypotheses,” said Munshi-South. 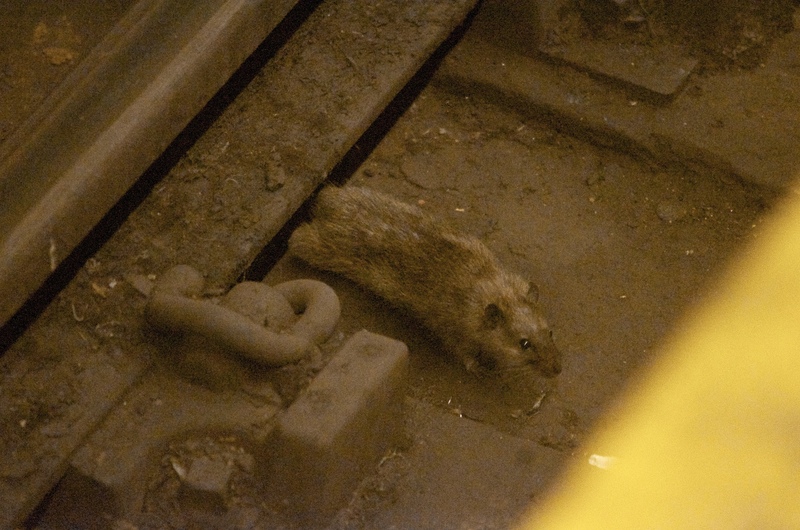 Not long ago I watched a pair of rats on the tracks of Brooklyn’s Hoyt-Schermerhorn station. One was a full-grown adult, the other hardly larger than a field mouse; mother and offspring, I assumed, with the young rat following closely in mom’s footsteps, perhaps learning lessons of life between the rails. In coming years, scientists could learn that R. norvegicus, which arrived in New York late in the 18th century, has taken an unexpected path to prosperity. Maybe city rats are kinder and gentler, at least with one another. It would make for a nice lesson. And it seems only appropriate that the animal making us reconsider empathy’s nature and its role in evolution is a creature so universal, and universally loathed, as the rat. We probably won’t leave out extra trash for them—but knowing that rats may care for each other could help us appreciate them a bit more. “The basic response,” said Panksepp, “is just wonder at the marvelousness of nature.” We could even go a step further: in city landscapes and in our labs, we can try to imagine life from their perspective. We might even empathize with them. Why Is Your Dog Laughing?